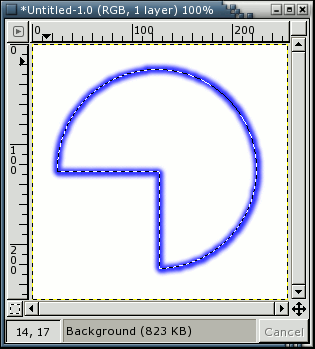 Since GIMP is an image manipulation program and not a painting program it doesn’t include tools to draw shapes like squares and circles. 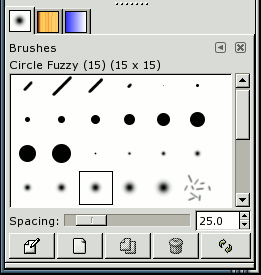 However this doesn’t mean you can’t paint them, in fact there are some interesting options regarding this subject when it comes to GIMP. 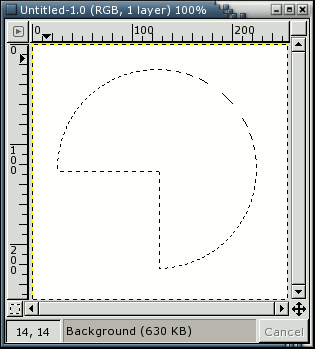 The solution is to use the selection stroking capabilities of GIMP. This option can be accesed on the image menu (right button click on the image), by going to Edit -> Stroke Selection. Before doing that however we need to make a selection with the shape we want. 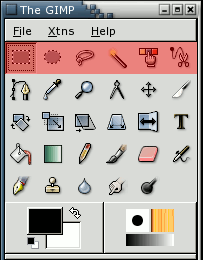 There are several ways to make a selection, including all the tools in red shown above and select by color as explained on Selecting and removing one color . When using the tools, holding shift at the beggining of the selection process will add the selection to what is already selected, while holding the control key will substract from it. 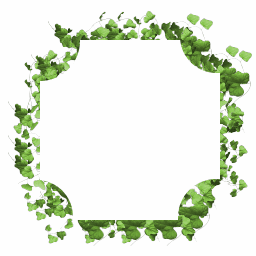 Use the selection tools to create a selection with the desired shape. 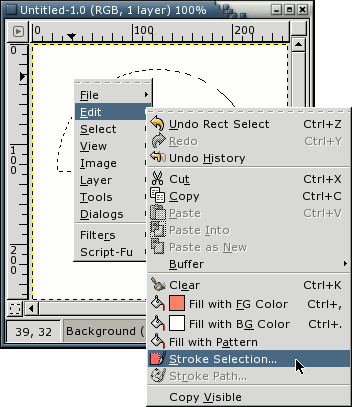 When all the options are selected you can click on Edit -> Stroke. You will get a dialog allowing you to set many options for stroking your selection, including dashed lines and other fancy features. 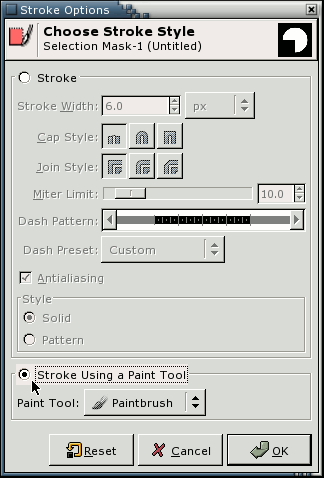 If you select Stroke Using a Paint Tool, you will be able to use the brush that you have selected. When all the options are selected you can finally click on OK. Using a fuzzy brush and selecting a blue color here is the result for the selection made above. 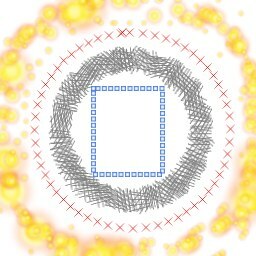 Playing around with the spacing options in the brush selection dialog, the color or using one of the animated brushes you can get very interesting results.. here are some examples.